On Labor Day my friends and family headed to San Onofre State Beach in California to do a little sunset surfing and have a bonfire on the beach. San Onofre Beach is 3 miles south of San Clemente, California. 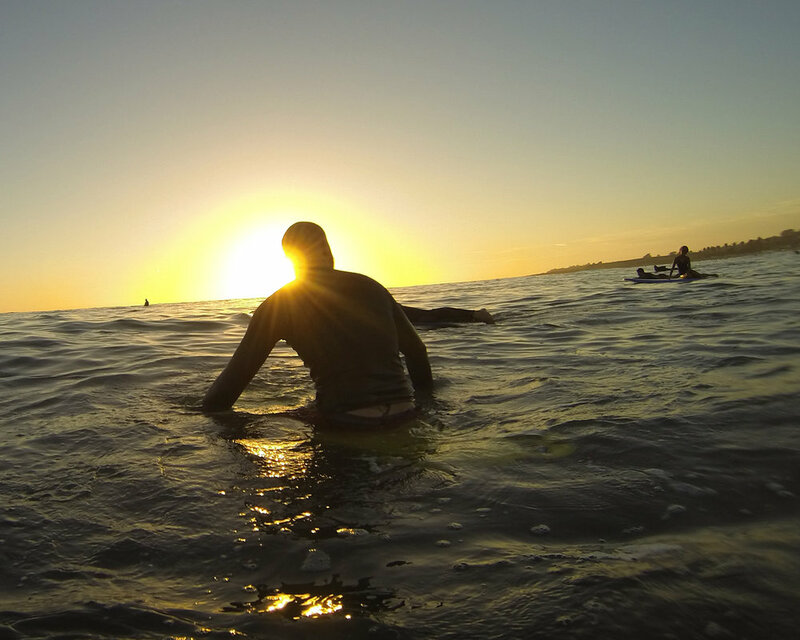 We set up on Old Man's beach and headed out to surf at Sunset. We paddled out to the waves. It was the golden hour so the light on the water was amazing. 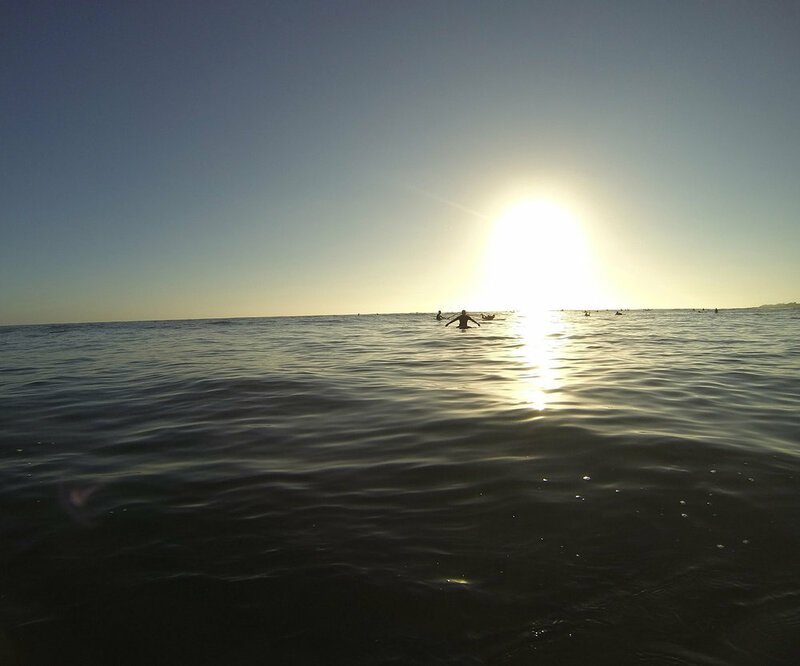 The water, the sky, and the good company are what make surfing such a fulfilling activity. Surfing also teaches you some basics principles about life. Principles that can give you courage to do hard things and succeed. If you break down the process of surfing, you can quickly see how its principles can be applied to life and to goals you want to accomplish. To do anything great in life, you have to start. 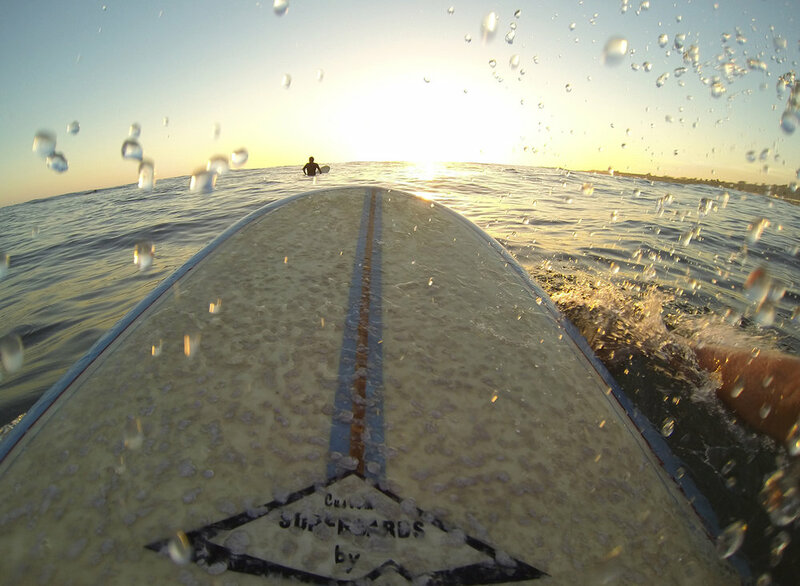 To surf, you have to have the courage to enter the water. Seems simple, but have you ever taken some one to the beach that is never been and seen their reluctance to get in. They let the fear of the unknown stop them from getting in and starting. It takes courage to start. If you don't start, you just sit on the beach watching the surfers and wishing you were out there, instead of just getting in the water. In life, set a goal to do something and start doing it. Get in the water. Most great surfing doesn't happen 15 feet from shore. You have to paddle out past the breakers to the waves. As you start surfing, you learn very quickly that the process can be a challenge as waves slam you back. Many times it seems like you're not progressing at all. Then you learn to embrace the wave and dive under it before it hits you. This is called a duck dive and by duck diving you can progress effectively through the wave. As you set out to achieve goals in life, you'll find that embracing some of your challenges and duck diving through them, will give you momentum and strength. Get out past the breakers. Once you get in the water and make it past the breakers, you'll arrive at your surf spot. You'll see surfers catching waves and others surfers sitting on their boards taking in their surroundings. Quickly take in your surroundings. You'll notice where the waves are breaking. You'll learn the cadence of the wave sets. This is important, because you'll take that knowledge to develop your surf session strategy that will maximize your time, energy, safety, and waves. In life, spend time to take in your surroundings as you progress toward your goals. You'll learn ways to use your knowledge of your surroundings to effectively use your time and energy. Take in your surroundings. Being patient is the key to surfing. This patient requires the determination to take what you've learned from the waves and your surroundings to position yourself in the right place to succeed. You quickly learn that jumping the gun to early or being impatient quickly drains energy needed to catch the perfect wave. 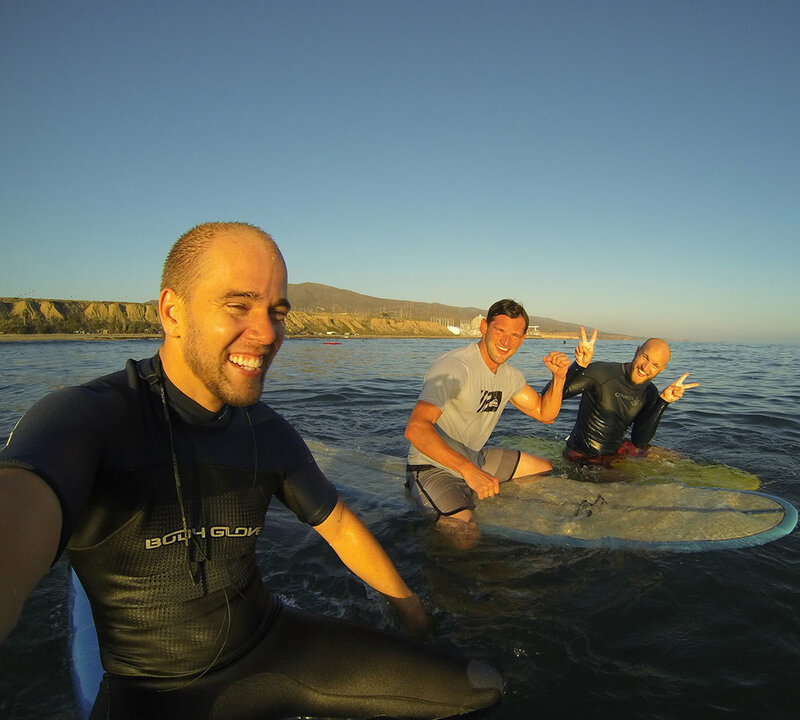 Use patience as a blessing to enjoy the moment in the water with good people. Be patient. Once you see the perfect wave approaching, it's time to commit to the wave. You'll start paddling just as the wave approaches. Then, you'll commit and dig deep until that moment when you'll stand up and surf. So many times in surfing, you give up right before you'll succeed. Then the waves places you by just like the photo below. Commit to the wave. Once you've committed to the wave, you'll find success. You stand up and surf. This is where the power occurs. This is where you fuel the addiction to surfing, because it's such an amazing and freeing experience. Now your surfing. Your succeeding. Enjoy it and have fun. Just like when you achieve your goals, take time to enjoy the moment and celebrate. Stand up and surf. Once the wave ends, you fall off your board and head back out. As you repeat the six principles of surfing, you'll get better and better. And just like surfing, as you move forward to achieve your goals of life, you'll gain more courage and confidence to do hard things and succeed. Do it again. Get in the water, break through the waves, and surf. You got this!